Here’s an interesting app you may want to try if you find yourself frequently in the position of having to share keys or provide copies in person. 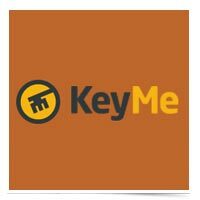 KeyMe allows you to save, copy, and share your existing keys via its app. You can have copies of keys mailed, or have keys instantly duplicated at one of their automated kiosks.